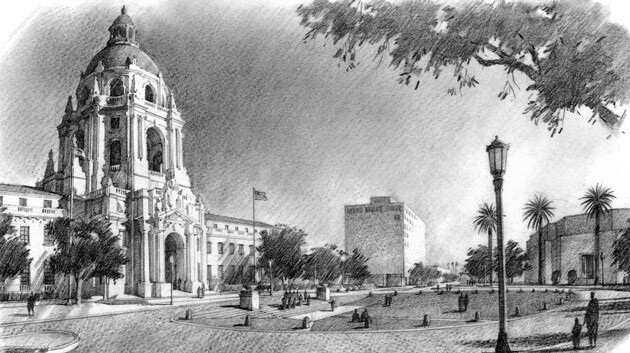 The Civic Center Master Plan provides a vision and program for revitalizing the heart of Pasadena with guidelines for open space, architecture, landscape, transit, traffic and parking improvements. 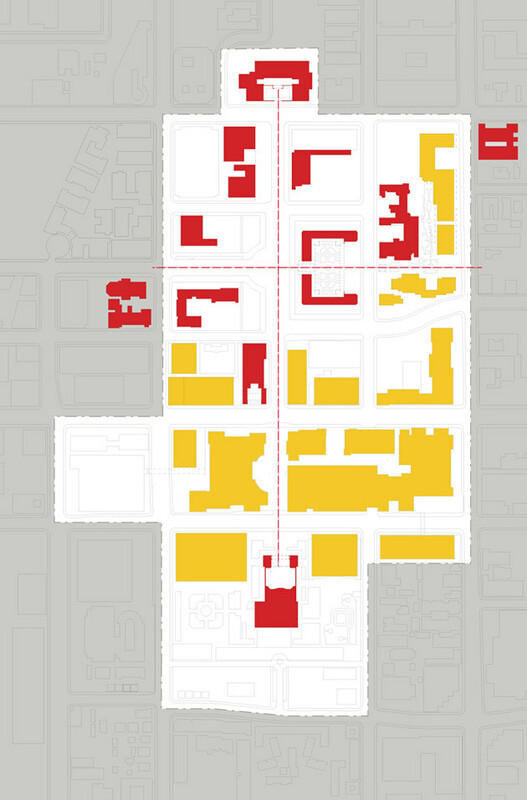 Foremost was the transformation of an existing retail mall from a monolithic, internalized structure that is shut off from Colorado Boulevard into three separate blocks with mixed-use buildings fronting the street. The plan also restored the north-south axis of the 1925 Bennett Plan to visually reunify the City’s core with its many distinguished civic buildings. These spatial linkages are enhanced with clearly defined squares that front the Main Library, City Hall and Civic Auditorium. Six development sites will accommodate major mixed-use buildings, including housing and up to 1.3 million square feet of commercial uses and 25,000 square feet of new institutional uses. To create continuity and further enliven the district, streetscapes will be upgraded with appropriate paving, trees, lighting and public furnishings.